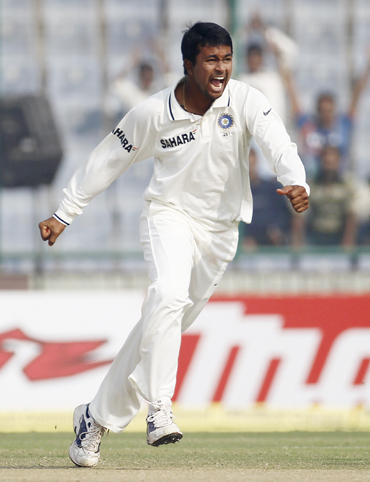 India's leading left-arm spinner Pragyan Ojha feels that it's about time that the perception about him being only effective in longer version changes as he aims to cement his place in shorter formats as well. "People feel that I am only good for Test matches. But I have also played in ODIs and would always like to believe that I am good enough to play in all three versions," Ojha told PTI on the eve of Indian team's selection for the five-match ODI tour of Sri Lanka. "I have been working very hard during the off-season as I was playing for my employers Bharat Petroleum to keep myself match-fit. Also, the Hyderabad Ranji Trophy probables are having a camp and I am part of that as well. The selection is not in my hands but I don't want to be caught unprepared in case there is a call-up," the 25-year-old spinner from Hyderabad said. Although he has been the first choice left-arm spinner in Test cricket for the last few years, Ojha doesn't want to take his place for granted and he praised young Akshay Darekar's performance for India A in West Indies. "When you play for India, the last thing you do is to take your place in the team for granted. 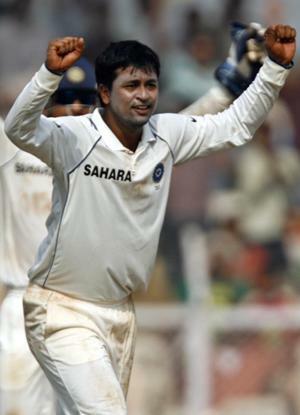 "There will always be tough competition and one needs to be fully prepared to give his hundred percent," stated Ojha, who has taken 62 wickets in 14 Test along with 20 wickets in 16 ODIs. The soft-spoken player also dismissed notions about him being used more as a restrictive option. "I never considered myself as a restrictive bowler. The bowlers I looked upto are great Bishan Singh Bedi and Venkatapathy Raju and Sunil Joshi. "None of them have been restrictive bowlers. The idea is to be consistent and I try to do that. I have always been successful when I have been consistent and forced the batsmen into playing rash shots."